My dad is a “do-things” guy. 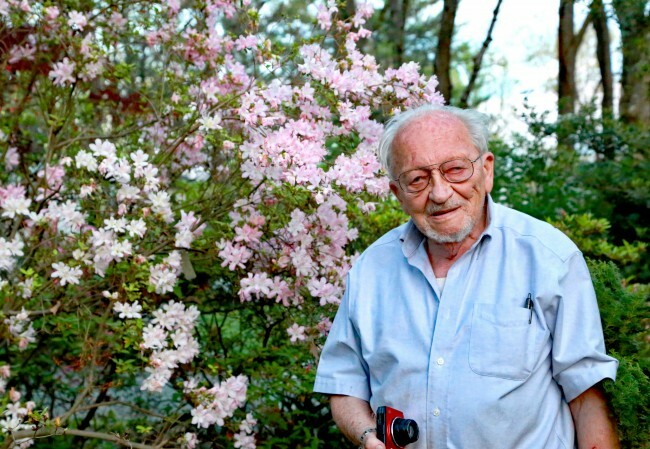 At 90, he roasts and grinds his coffee, makes bialys, bagels, bread and pies, fixes everybody’s computers, tends his stunning 1+ acre native plant garden in Richmond, Va. …..
And he has a shop (that he built) where he crafts furniture, cutting boards and kitchen utensils. 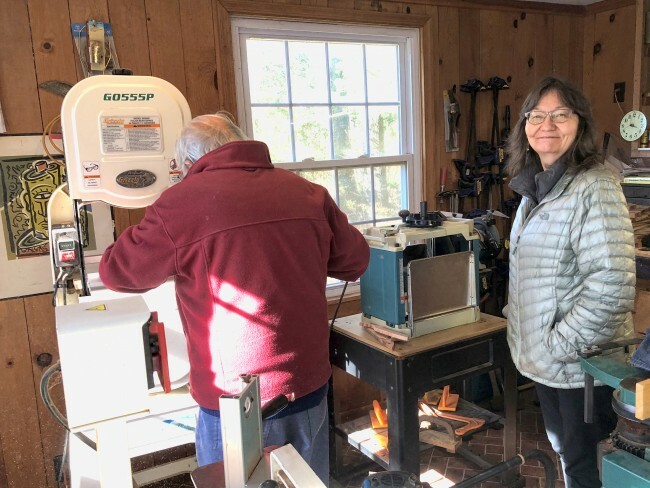 So as part of my quest to learn to do things, spoon-making/carving in particular … my sister, Janet and I enlisted his help while visiting a couple weeks ago. 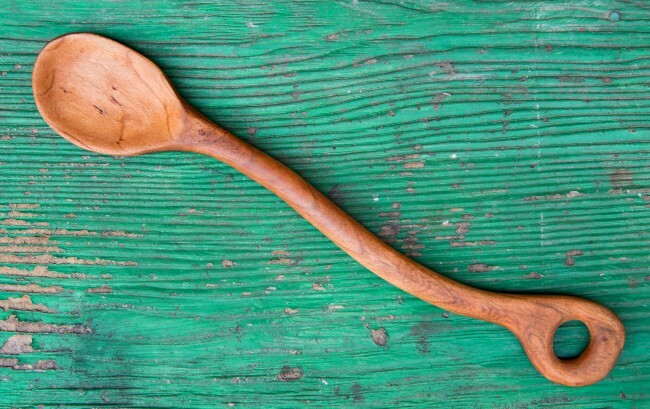 Mind you, I am not new to make-do spoon crafting. It’s something I take a notion to do every twenty years or so, as you can see in this photo. And quite honestly, I have NO idea what I’m doing. For now. In the immediate future I plan to get me a good hatchet and commence to learn the art of Swedish green-wood carving. 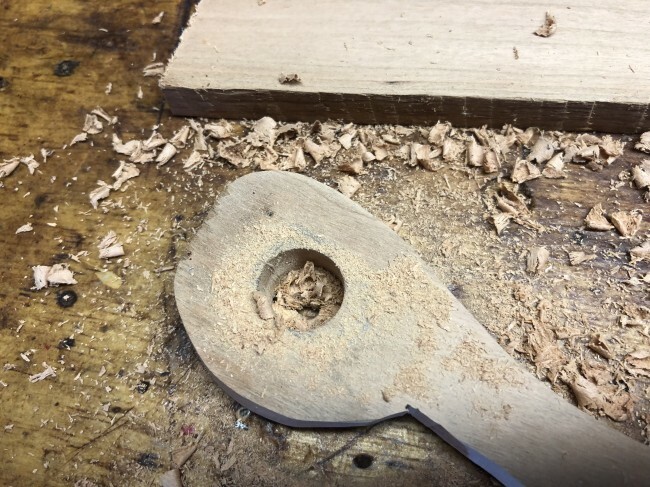 In the meantime, here’s how I made this spoon. Believe me, if I can do it, so can you! 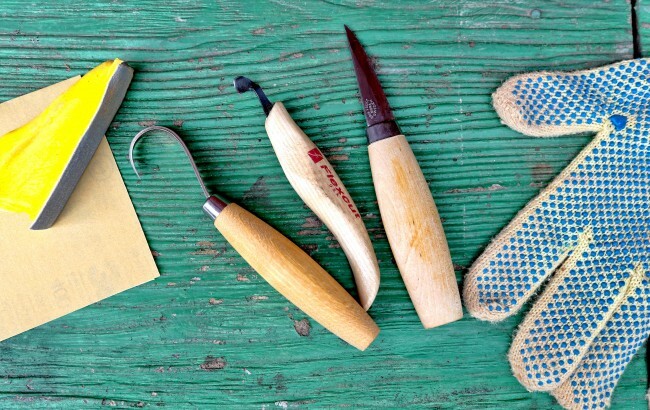 All you need is a friend with a jigsaw and maybe some rasps to help you get started. 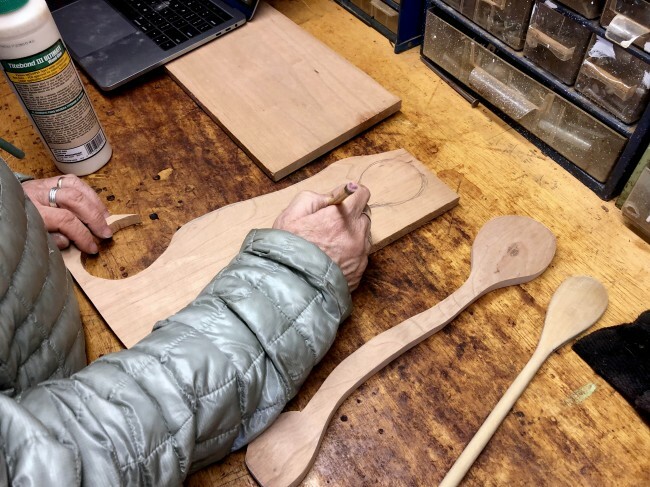 First, you will need to draw a picture of the spoon you want on a piece of non-toxic native wood. We are using cherry for our spoons. If you are right handed, you will want to flip the curved spoon over and have the curve point toward the right. I figured that out after I unintentionally made a left-handed spoon. Then, you give this drawing to your dad/friend with a band saw or smaller jigsaw to cut out. 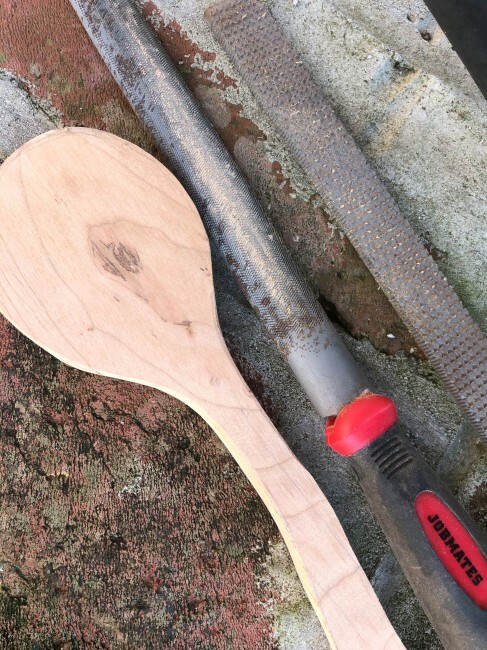 Now, you drill a hole in the handle end because you will want to hang your lovely rustic spoon. And then you will collect a few rasps … a round one (for the hanging hole), a medium one and a finer one with a rounded back. 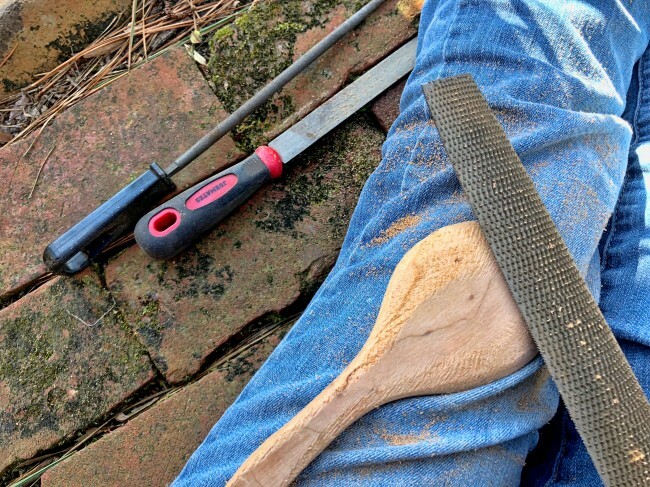 Then you will sit in the sun out in the yard and start rasping the square edges off your spoon. 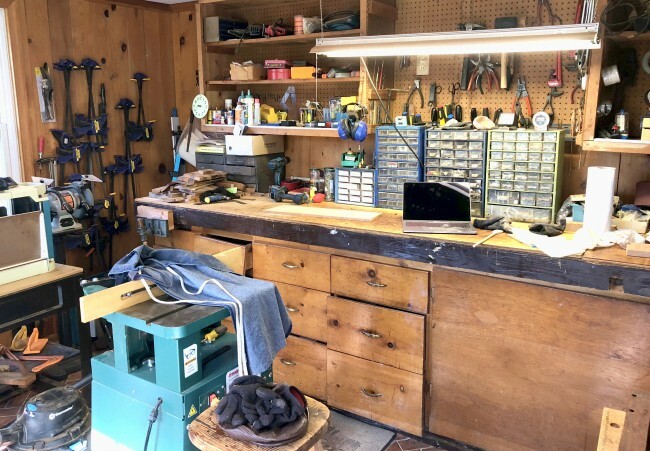 Or in the case of Janet, who will do something different because her husband Roger (the do-things with tools guy who is teaching my daughter, Annie to blacksmith) says “there is a WAY easier way to finish off your spoon!” Evidently, as you will see I do not know what that is. Anyway, rasping is fun and you can quickly round out your spoon and handle starting with the rough rasp and finishing with the finer one. The spoon hook on the left would work great with green wood but not with dry (with my lack of skills anyway) so I gouged wee divits with the little tiny spoon hook in the middle and then used the larger spoon hook to carve out the ridges. I used the carving knife to round out and fine-tune the handle hole. The kevlar gloves are a good idea when learning to carve. Once everything is smooth and shaped, the sanding begins. I found this nifty little flexible yellow sanding gizmo at Lowes and started with 80 grit, then moving on to whatever I could scrounge around here that included 150, 220 and finally 400 grit. I like my spoons super smooth. Now, dip the spoon in water to raise the grain and when dry, sand again. Rub some oil (don’t tell anybody but I used roasted walnut oil) on your spoon and you are good to go! I did it! 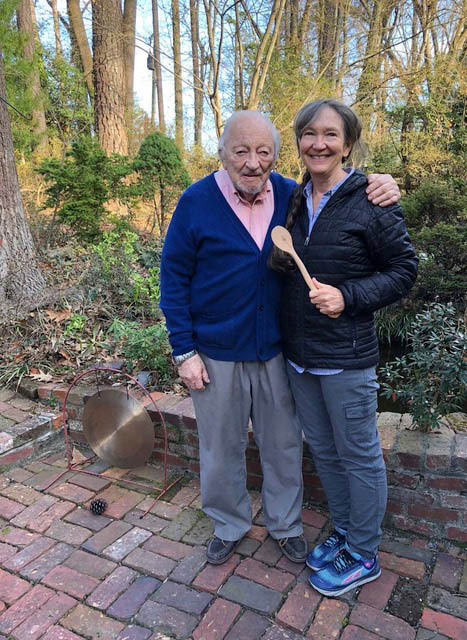 But as much as I appreciate my new spoon, the best part of this “how to do things” adventure has been spending time with my dad, hearing his stories, laughing with him, watching him cut out my spoon with a big scary tool that he still commands. Learning to do things is so much more fun when your mentor is someone you love. Thanks Dad … it’s you I’ll think of when ‘er this spoon stirs our soup! 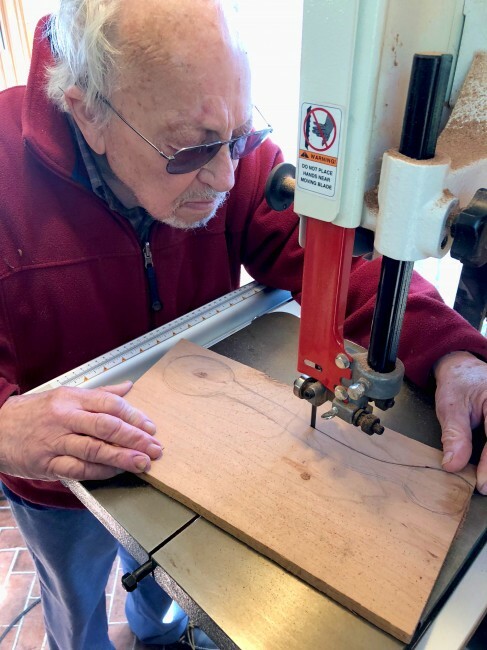 PS: Safety note: Before using carving tools, please take an introductory woodcarving class or have a wood carver instruct you in proper carving techniques! …I’ve done this in the past and plan to learn so much more. And while you’re at it, inform yourself about which wood species are food safe and which to leave be. Cherry, maple, apple, birch are spoonable. As are other woods. I’ll do some more research and report back to you about other recommended species. Welcome to more of How To Do Things Thursdays! 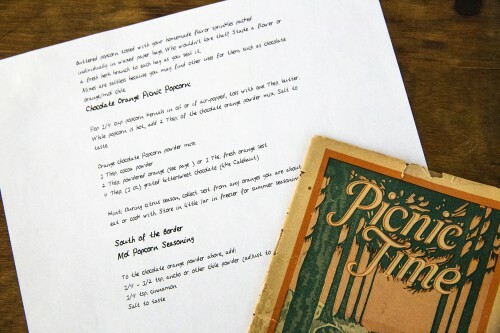 Today’s guest post is by our coal-dusted, blacksmithing daughter, Annie. There’s nothing that makes me feel more at home than being immersed in the handmade. Knowing that one of my cooking students made that wooden spoon I’m stirring supper with, that a neighbor wove that throw rug I’m standing on. 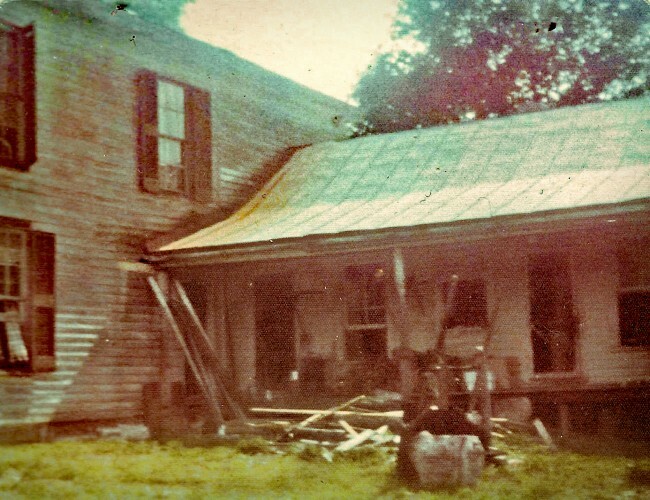 That my mother hand-stitched that quilt on our bed, and that my uncle forged those hooks hanging in my kitchen. 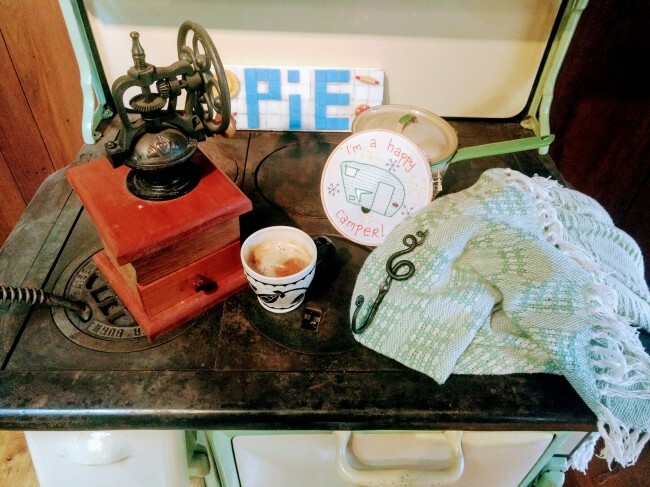 My morning coffee is ground in an old-timey crank grinder that my grandfather built, and the person who made the mug is a family friend. Welcome to How to do Things Thursdays! 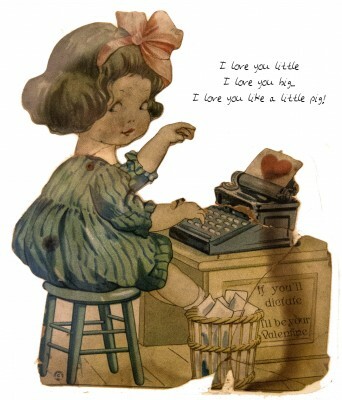 Valentines Day is nearly upon us and I can’t help but sing this enchanting holiday’s praises. I get that it can be a tough day for those who are lonely and have experienced loss, but it’s also the one time of the year when we somewhat restrained Americans are encouraged to openly express our fondness for one another. 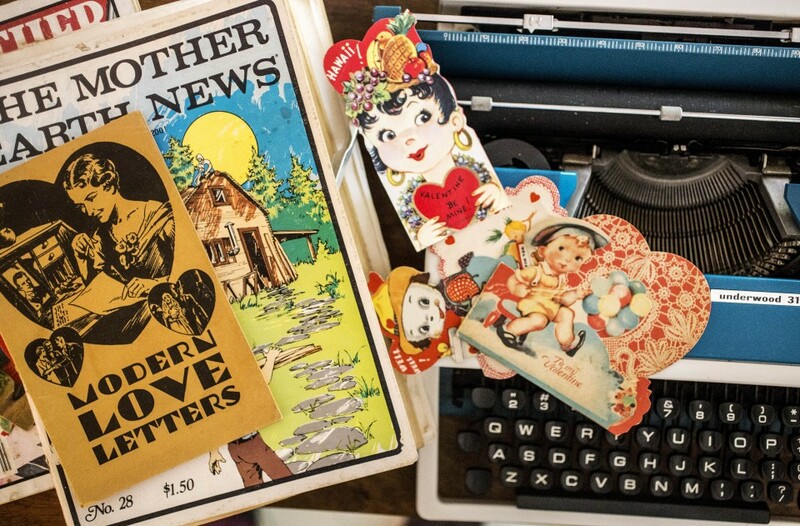 And truly, the simpler the bestowing of appreciation and affection the more meaningful to the recipient … so in that spirit, I’m dashing off a few handwritten and typed notes to unsuspecting acquaintances and loved ones. Including you. I got up early …. 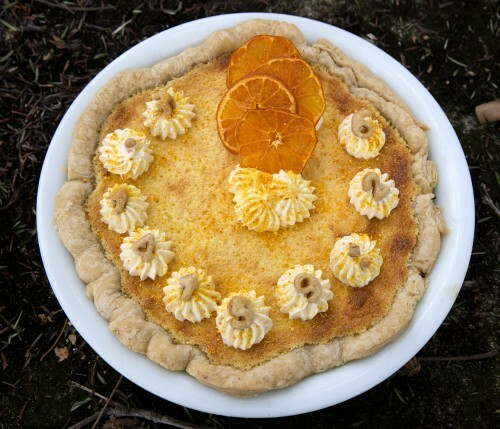 I made you another birthday (orange cake pie) pi, Albert Einstein! 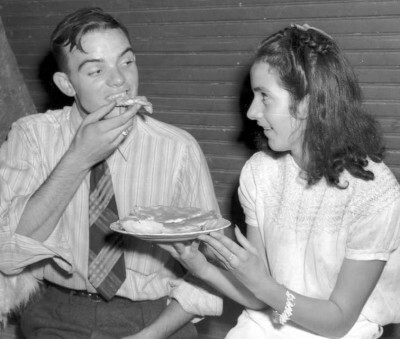 Saturday 3.14.15 at 9:26 is the BIG pi day and Albert Einstein’s 136th birthday. Two years ago, I wrote an authoritative post on how Albert Einstein came up with his Theory of Relativity and various equations that actually totally escape my understanding, which I am yet again re-posting, as now it’s tradition. Speaking of things that defy comprehension, do you ever wonder how it is that you can create children that have analytical and all sorts of other capacities well beyond your own? Wayne and I ponder this frequently. As it turns out, my ability for doing math ended in 4th grade, and Wayne claims his ended in 3rd. So how did it come about that we managed to raise three scientist kids who DO understand Einstein’s Theory of Relativity? Who use squiggles that aren’t even numbers anymore to figure out that stuff? 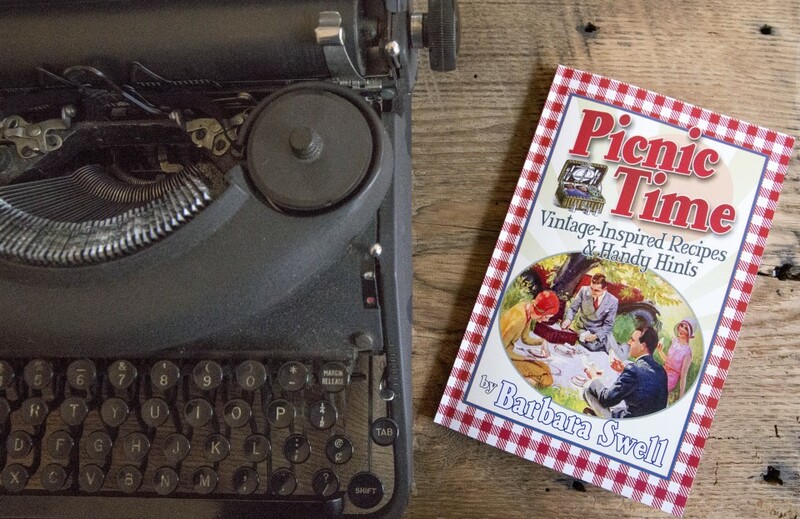 Up in the attic, thinking about roasting black raspberry marshmallows over a perky campfire. Not being good at sitting, I figured if I just had the right chair, I’d be happy to sit and write and layout. Got that 1960s chair. 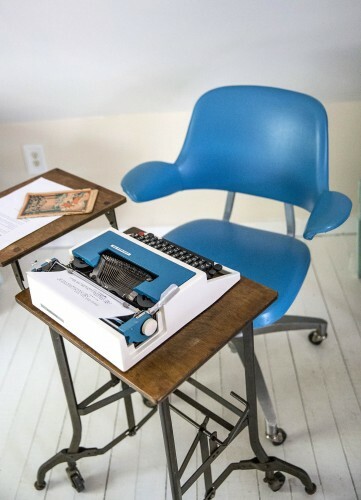 Then if I only could find a matching vintage typewriter (and learn to repair and maintain said vintage typewriter), well, THEN I would be able to sit and write. 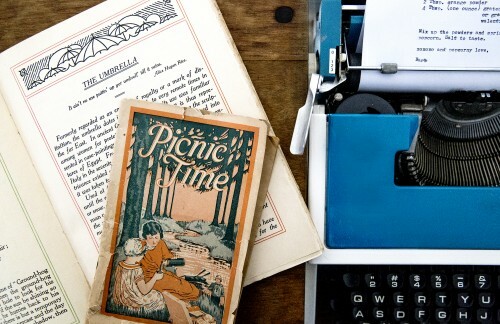 Now, wouldn’t it be handy to have just the right handwriting font in addition to the vintage typewriter type for the little book, and don’t you know you can make a font out of your very own handwriting. Which is well beyond fun. 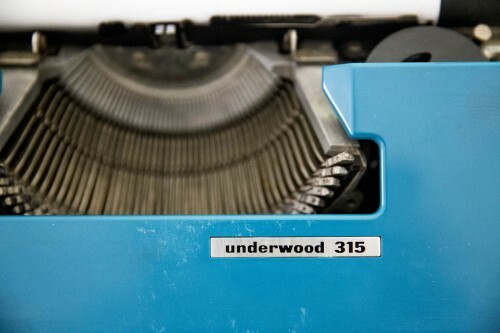 But what I want to know now is how is it that you other writers get down to business? Maybe if I just did the writing instead of every bit of the layout, art and writing but the cover, it would be less distracting …. but still. Do you get up early, walk five miles, do yoga, milk the cow, eat your homemade granola and then have 3 chapters written by 9am? How long do you sit at a stretch? Do you drink endless cups of dried orange chai tea or do you sit with a thermos of coffee by your side? How often do you check your email and the likes? It’s always fascinating to hear about how the deed gets done by people who appear to be so darned focused. 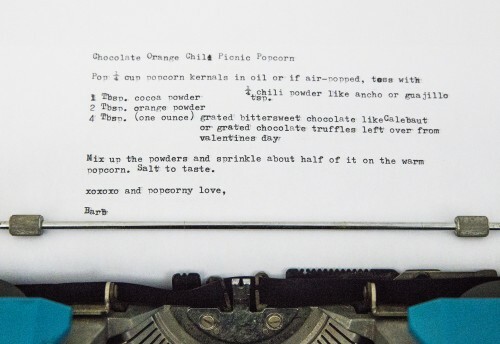 Speaking of straying off task, how about a fun Valentine’s day chocolate bar leftover recipe distraction? 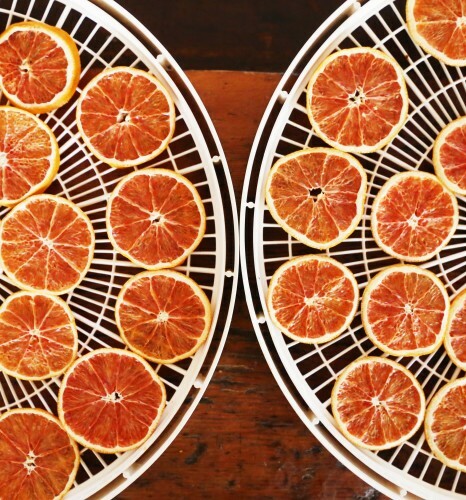 This winter, dehydrated oranges have been visiting pretty much everything we eat and drink. 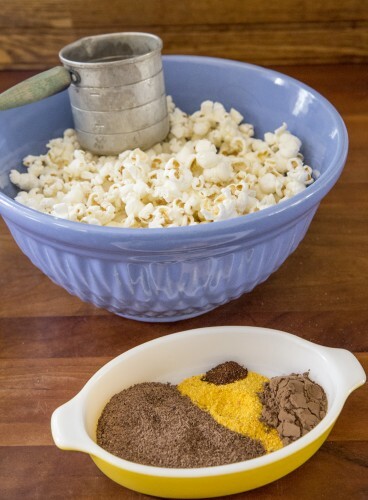 They’re in powders … that find their way into chili and now chocolate orange chili popcorn which would be just dandy for an anytime picnic. 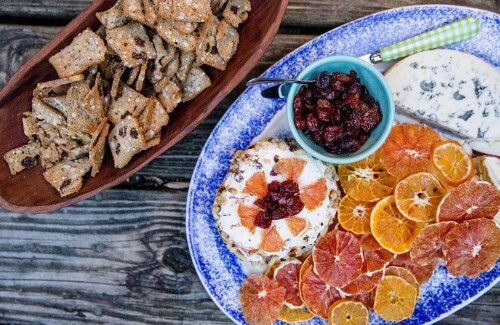 Here they are standing in for crackers on a cheese plate with a little homemade fromage blanc that’s been laced with orange booze soaked cranberries and dried orange shards. 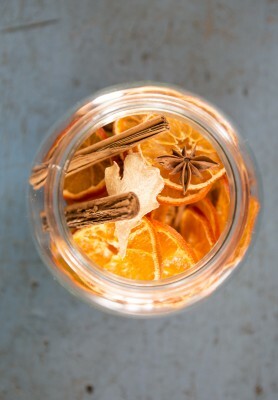 And don’t they look so pretty in a jar with their mulling spice buddies? 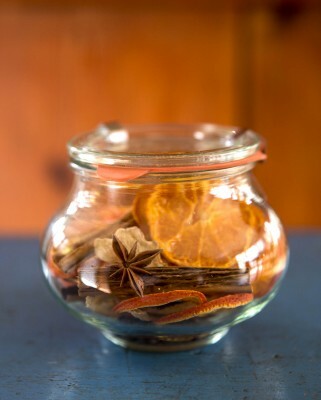 Dried fresh ginger slices, Ceylon cinnamon sticks, allspice, cloves, peppercorn and maybe a star anise. To be joined with cider, red wine or tea. 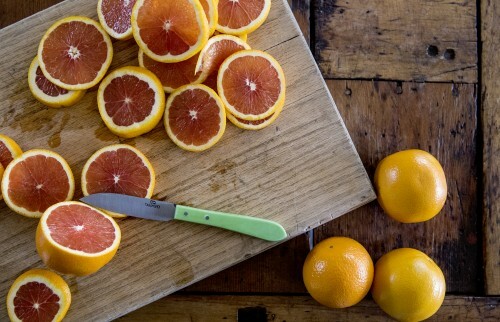 We’ll get to the popcorn in a minute, but let’s chat about which oranges to dry first. You do need to choose thin-skinned varieties and organic is best, but hard to find. 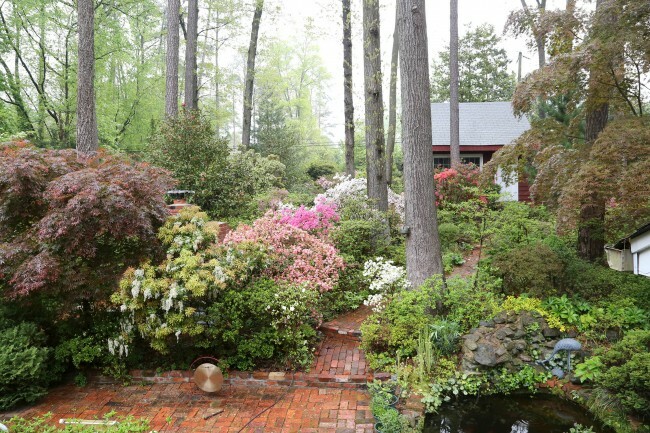 Here in the WNC mountains, we don’t have as many varieties to choose from as you would, say, in California or the southern citrus states. So far the clear dried orange winner is Clementine followed by Mandarin, then blood orange, and then Cara Cara. 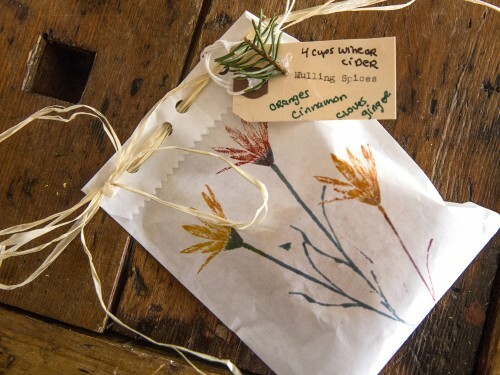 All these varieties will do well as “crackers” without being bitter, and as powders which you can combine with spice blends. As far as mulling spices and tea, any variety will do. Slice them thinly, place them on dehydrator trays and dry at 120º until crispy, about 8 hours or so. (You can also try your oven, turning it on and off to maintain the temp.) 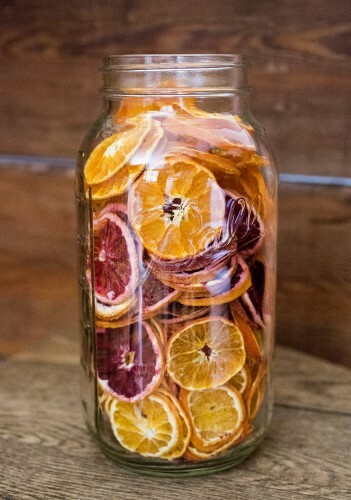 Now you can store the dried orange slices in a jar for all your orangey purposes. 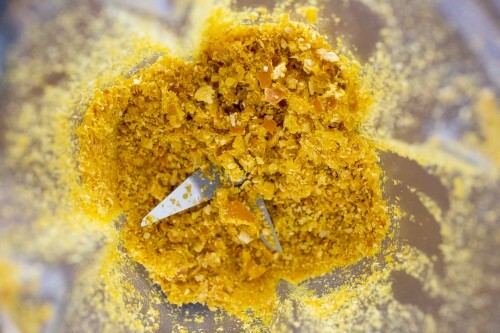 And then, if you want orange powder, you’ll give it a whirl in your blender and it will look kind of coarse because the oranges still contain oils and a bit of moisture. Which is fine … or you can dry further and then process again. I don’t recommend making super fine powder … there’s something not right about it. What the heck, just go ahead and experiment and get back to me. 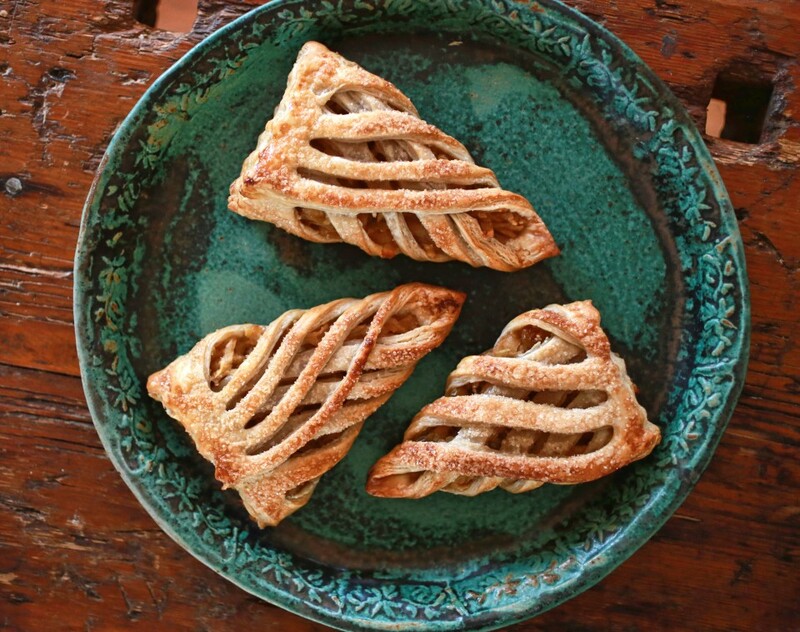 And now my new favorite thing to eat while I do or don’t get down to writing business …. 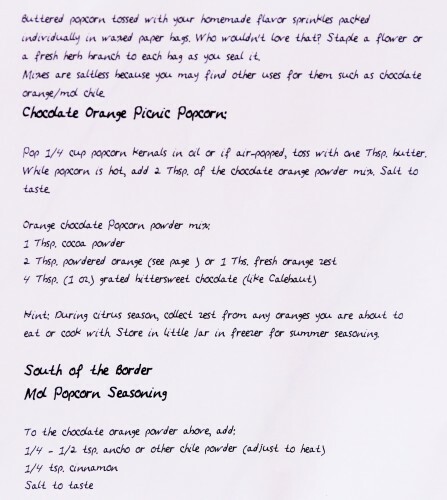 Chocolate orange popcorn and Mole Popcorn blends. The mole blend works well in chili as well as an all-round sprinkle. 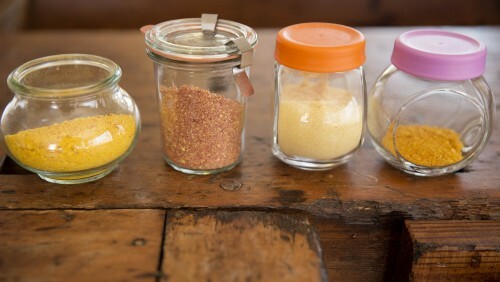 The mixture of grated chocolate, cocoa powder, orange powder (or orange zest) and zippy chili pepper powder can be made by the pint jar and stored for 6 months or so at room temperature. Add a good pinch of cinnamon to the mix for a mole type of seasoning. You can salt your mixture, but I like the flexibility of cooking with it. In addition to chili, the mix has fun with iron pot barbeque pork, chicken tamales and as a corn on the cob sprinkle. 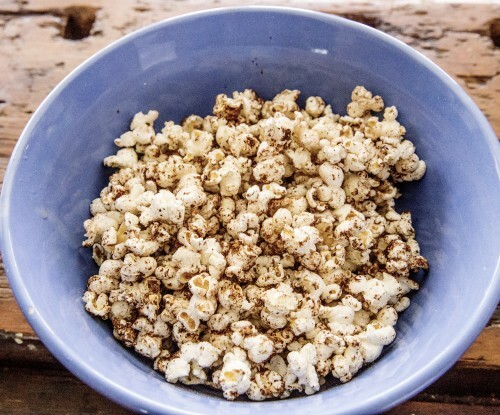 Package the popcorn in waxed paper bags, glassine bags (available at craft stores), or clear plastic gift bags. Paper bags are lovely, but the grease stains, not so much. 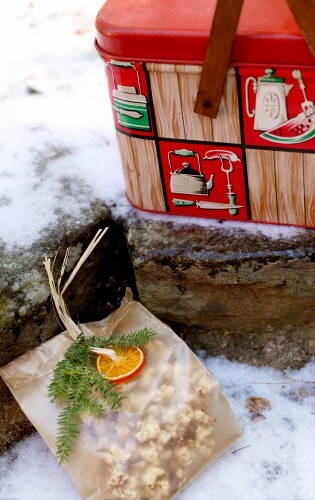 Staple a dried orange and some seasonal greenery or flowers onto to the bag, and it’s PICNIC TIME! © 2019 Log Cabin Cooking. All Rights Reserved.